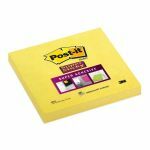 Post-it® Super Sticky Write and Peel Label Pads, Multi-Pack, 6 pads, 2900-M6. 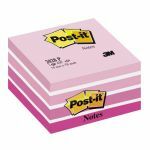 Write, peel and stick! 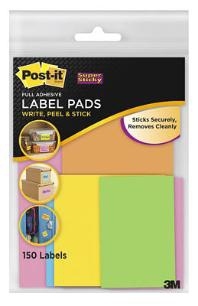 Compact, easy-to-use pads allow for quick labeling. Full-adhesive back with perforated tab. Labels stick securely and remove easily. Great for organizing binders, shelves, containers and much more. 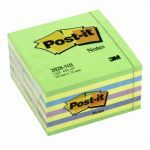 Post-it® Super Sticky Label Pads offer various sizes of labels with 25 labels per pad. Sizes include 2-7/8" x 4-5/8", 1-7/8" x 2-7/8", and 5/8" x 2-1/4." Compact, easy-to-use pads allow quick labeling. 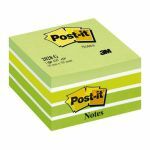 Each label sticks securely with full adhesive and removes cleanly. Ideal for organizing and identifying binders, shelves, containers and much more. Simply write on the label, peel and stick. 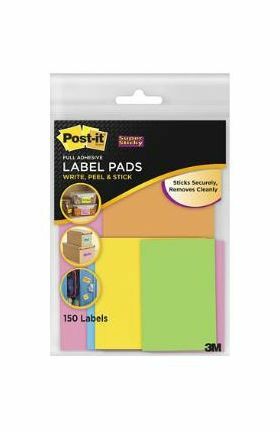 Label colors include orange, limeade, blue, pink, white and yellow.